Brazil’s Indian affairs department, FUNAI, has released rare footage of an uncontacted tribe living in the heart of Brazil’s Amazon rainforest. It shows a group of nine Indians walking along a forest trail. The men carry bows and arrows and a woman carries a basket and two small children. She spots the strangers filming and lets out a cry of alarm. The Kawahiva are a nomadic people, on the brink of extinction as they desperately flee armed loggers and ranchers who are operating in and around their forest home. The video was filmed by FUNAI’s uncontacted Indians department in 2011 but has only just been released, presumably to draw attention to the critical situation facing the Kawahiva. After it was shown on the national news a town councillor from Colniza, the town nearest the Kawahiva’s land, and known as the most violent town in Brazil, accused FUNAI of ‘planting’ the tribe there to prevent local people from exploiting the forest. Little is known about the Kawahiva, although the earliest references to them date from 1750. 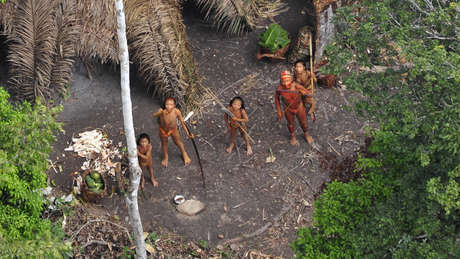 They may be the last survivors of their people, or they could be related to one of several neighboring tribes who nickname them ‘Baixinhos’ (the tiny people) or ‘Cabeças vermelhas’ (the red heads). 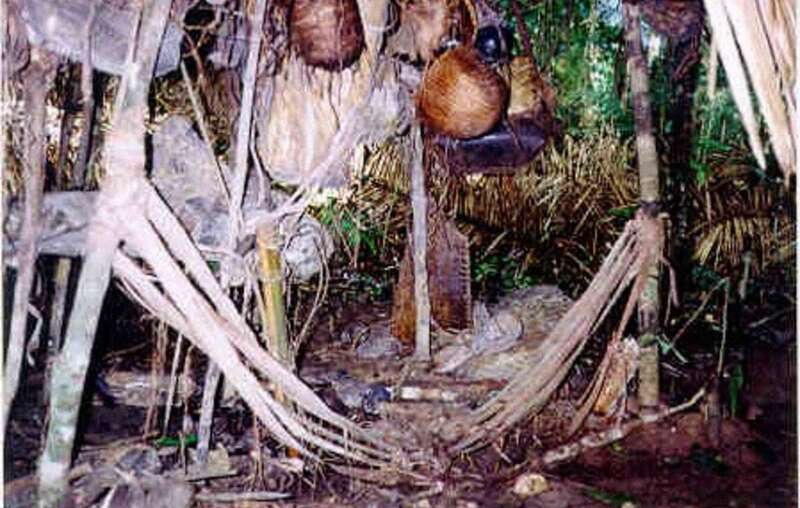 Since 1998 FUNAI has periodically sent teams to the area, which have located abandoned malocas (communal houses), filled with essential utensils such as arrows, baskets filled with nuts, and hammocks made from tree fibre. There are no signs of any cultivation in the territory; the Indians survive by hunting and gathering as they are constantly on the move. Survival mounted a high profile campaign in 2005, urging the Brazilian authorities to protect the Kawahiva’s land known as the Rio Pardo territory, after receiving reports that a judge had overturned FUNAI’s order protecting the land, and that heavily armed loggers were invading the area with the aim of hunting down the Indians to kill them. In 2007 Rio Pardo was formally identified by FUNAI which restricts access to it by outsiders. Allegations of genocide against the uncontacted Kawahiva were investigated by a federal prosecutor in 2005. He issued 90 arrest warrants and many people were detained, but none have been arrested or tried.